News and Specials from Bakers Auto Sales! Thank you for taking the time to fill out an Online Credit Application for an automobile loan. Let me tell you a little about who we are and what we do. We are a division of www.BakersAutoSales.ca. We set up this division to help people with credit issues get affordable financing. Normally you go to a dealership, pick a vehicle and try to get financed or approved. We work completely backwards. We get you pre-approved for a loan first; it usually takes 24-48 hours. 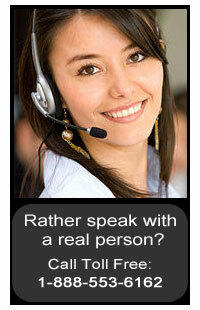 Then we call you back and tell you how much you have been approved for, the interest rate, the term of the loan etc. If you like what you hear, we will then find you the vehicle of your choice to match the loan payment. If for any reason you don’t like the loan approval, you are under no obligation to take the loan. Does this sound good to you? Or Make sense? In order to proceed to the next step of your automotive approval process, someone from our credit department will be calling to speak with you in person to obtain some missing necessary information. We can be reached at 1-888-553-6162, or by email at dave@bakersautosales.ca. Caution: Please be aware that any further application submissions will negatively affect your ability to obtain credit approval in the near future. Please feel free to browse the three finance specials we have included. Perhaps one of these may suit your needs. Please let us know. If you do not see what you are looking for please reach out to us and we can help find you the right vehicle that will fit your needs and your budget! Ready to get your vehicle today? Call us now. We are waiting to help. At Bakers we believe in taking care of family. That is why we are always here to help take care of all your automotive needs. With so much to learn and understand about maintaining your new vehicle it can become overwhelming on top of your already busy day-to-day routines. That is when you need a friendly face to rely on. Road Test Vehicle For Performance, Handling, Braking, Etc. On behalf of Baker’s Happy Trouble Free Driving! You are already on your way to improving your credit and lowering your vehicle maintenance costs with your new auto loan with Bakers Auto Sales. We look forward to answer any questions you may have. I can always be reached by email at Dave@bakersautosales.cato adress any of your automotive needs. Happy Driving! When booking your next oil change with us at Bakers Auto Sales mention you’d like to add a 14 point spring service special for only $9.95 more. PRINT & BRING this coupon with you to your appointment and you’ll instantly save over $40 on your spring maintenance. Do you have a friend of family member that would benefit from this coupon as well? This coupon is transferable; so long as it is presented at time of service. Limit of one spring special coupon per vehicle per year.